If you’re planning a trip to Japan, Kyoto is pretty much a must-add to your itinerary. While it may not be the nation’s political capital any more, it remains very much the heart of Japan’s cultural traditions, and its beautiful temples, shrines, and gardens are exactly the sort of images that grace the covers of travel guides and then stay in the hearts of visitors. At the same time, however, Japanese travelers who’re planning a trip within their home country are increasingly staying away from Kyoto. A recent study by the Kyoto City Tourism Association and Kyoto Convention Bureau found that in December of 2018, the number of Japanese people staying at major hotels within the Kyoto city limits had dropped by 12.2 percent compared to the same month in 2017. For November, the compared-to-2017 drop was also a sizable 10.7 percent, despite it being the height of the fall color season, when travelers traditionally flock to Kyoto to see the changing leaves. As a matter of fact, December 2018 was the 21st consecutive compared-to-the-previous-year monthly decrease. Similar things are happening with the annual number of Japanese travelers staying in Kyoto. In 2018, the surveyed Kyoto hotels hosted 2,062,716 Japanese guests, 4.8 percent fewer than they did in 2017. That was the fourth annual drop in a row, following decreases of 4.8 percent in 2017, 3.8 percent in 2016, and 4 percent in 2015, according to the study. So what’s causing Japanese travelers to stay away from Kyoto? According to hoteliers the researchers interviewed, a huge factor is the huge crowds. While Kyoto seems to have lost some of its appeal for domestic travelers, it’s more popular than ever with foreign visitors. The same surveyed hotels which saw a 4.8-percent drop in Japanese customers for 2018 saw a 5.3-percent bump in overseas guests, who totaled 1,229,030 for the year. 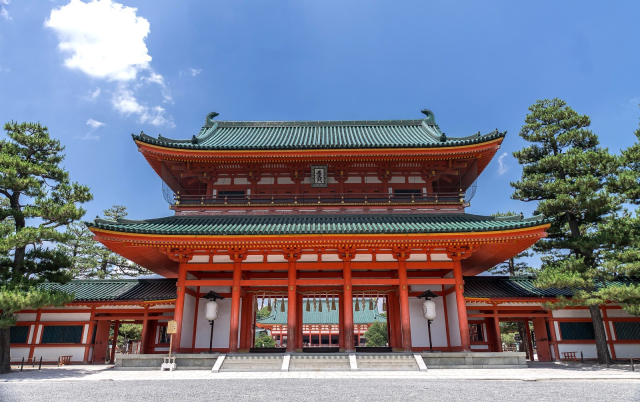 Particularly if they’re first-time visitors, those foreign travelers are going to be headed to Kyoto’s most famous sightseeing spots, and filling up the buses, trains, and subway cars that go there. That extra congestion runs counter to the quiet elegance that’s long been seen as Kyoto’s primary attraction, making it a less desirable destination for domestic travelers who, with a more in-depth knowledge of their own country, are more aware of other, less-famous options to get their temple-and-shrine fix. While the City Tourism Association isn’t complaining about welcoming more foreign visitors, a spokesperson for the organization said they would ideally like to see a balance in the number of foreign and Japanese travelers coming to the city. An over-reliance on foreign tourism could hurt the city’s hospitality industry if, for instance, a natural disaster elsewhere in the country were to make international travelers shy away from Japan as a whole, as happened following the 2011 Tohoku earthquake ad tsunami. If there is a silver lining, one hotelier claims that despite Kyoto’s newly acquired stigma as a crowded place for sightseeing, it’s actually become easier to find a place to stay in the city, as recent years have seen a number of new hotels, inns, and hostels open. Still, if you’re planning a day of temple visits in Kyoto, it might be a good idea to take after the monks and start your day early, before everyone else is up and heading to the same spot as you are. The government shoul restrict the number of Chinese turists bus tours which their numbers are doubling each year almost. The offers and packages are also doubling in China and Taiwan making the tourists from those countries more than 60% of all vositors in Japan. As we all know, the government will do no such thing; in fact, they're eagerly targeting more international visitors. I also have a problem with putting caps on a specific nation or ethnic group. I hear a lot of such animus and I doubt if it'd be leveled so casually if 60% of tourists were from Finland or New Zealand. Do I miss the Kyoto I used to visit 20 years ago, sure, but why should I be able to go and not others. Of course, if I were a resident, I might not be sanguine about things. I was in Arashiyama a few weeks ago. We arrived early, walked through Sagano before the crowds descended, and generally had a lovely time. We left after lunch when things were getting truly insane. I'm lucky enough to be able to drive there in less than an hour. Those requiring lodging, good luck. Even 5 or 6 years ago, getting a room in Kyoto was an easy task. I was hoping to take the family this year for part of our spring break to see the blossoms but finding a decent room for a reasonable price was near to impossible. We're opting to go to Shiga instead. Anyway, all of this is only natural. How many San Francisco residents want to hang out at the Fisherman's Wharf in summer? How many Italians want to go to Venice? Meanwhile, despite the crowds, first-time foreign tourists seem happy to do so. Been to Kyoto, saw the sights, got the t-shirt, don't need to go back. There are many other places in Japan equally beautiful but not much is written or promoted by it. Places such Shuzenji in Shizuoka offer spectacular views of Mt. Fuji and surrounding areas with bamboo groves, nature and culture. I thought Japanese people didn't mind crowds. Oh, that's if they're crowds of other Japanese. Visitors to Kyoto, domestic and foreign generate ¥1 trillion pa for the city. We have visited 3/4 times per year for the last 25 years. Buses are impossible, especially if there are people with backpacks and large suitcases. There are ways for improvements which would also help the local population. Free buses from JR station going directly to the tourists spots, paid for by those places which generate huge profits. Community taxis like we have here in Tatsuno City costing us ¥200 for a shared bookable journey. Banning backpacks and suitcases on public buses. Tram system on the main routes. There is no explanation or reasons given for the drop in numbers. I'd like to see what the major reason for avoiding Kyoto would be. Are the Japanese travellers heading overseas in preference to domestic travel? Are they keen to visit other places in Japan? Are they avoiding the Chinese crowds? One thing is for sure, there is a travel cycle and I've seen the domestic and international travel industries turn around when there are major news reports of natural disasters, terror attacks, etc. in my long presence here in Japan. The numbers will turn around eventually. It IS kind of annoying that the places I used to go for quiet contemplation are now filled up with noisy tourists. It's not easy to relax and just stroll along anymore, since you have to constantly dodge people. I have no idea how they are going to solve the problem, unless they start to limit the numbers of tourists, which I can't imagine is even possible. I don't plan to avoid Kyoto, I just plan better when I go there. There is still a lot off the beaten path where you can enjoy yourself, and If you go to the famous places early enough, it's still nice and quiet. And if you go in winter, it's less crowded. Locals will just have to adapt. The most crowded experience I've ever had was in Kyoto at New Year's eve. This was in 1990, and 99.9% of the crowd was Japanese. Kyoto has always been insanely crowded. It's understandable there needs to be a balance. I know in parts of Italy the locals were quite unhappy over the mass numbers of tourists crowding their cities, like Venice for example. Another issue is that crowds are one thing, unruly visitors are another. Not to mention annoying 'vloggers' that have a need to be nuisances with their need to film everything in sight. I mean, do we really need yet another "food tour of Kansai" or "chilling with Nara deer" vlogs on YouTube? There is no explanation or reasons given for the drop in numbers. I'd like to see what the major reason for avoiding Kyoto would be. One possible mechanical reason is the availability of hotel rooms. I do a moderate amount of travelling on business and have found it much more difficult to book hotel rooms in recent years. Business colleagues report the same issue even though we are Japanese and can go for business hotels that are less known to tourists. The booking problem is not specific to Kyoto. I've encountered it in Beppu, Fukuoka, and even Nagoya. This non-Japanese traveler also avoids Kyoto these days. I can understand them very well ... I am traveling to Japan every year and except for once at my first stay and once when my GF came with me for her first time I never went to Kyoto again even though there are some appealing places, still it is so annoying with all these tourists. Perhaps a comparable situation would be visiting Disneyland here. What with the crowds and high prices, haven't been there in over ten years. Don't miss it. If you enjoy being part of the steaming flock of tourist sheep then such places are just right but as a place becomes famous the hordes that descend invariably destroy the essence of what they came to experience. It’s the unavoidable two sides of the tourist coin. For the ordinary residents of such popular tourist destinations around the world, the majority of whom don’t make their living out of the hoards, it is just an ongoing nightmare for the benefit of a politicians and the few.